Melling, a fullback, started his career with the Wigan Warriors, captaining their academy side, so clearly showed a lot of promise. 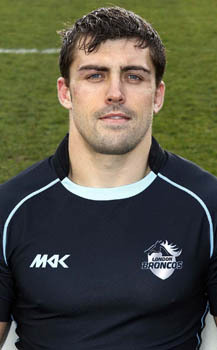 Unfortunately for Chris, a series of bad knee injuries hindered his progress as a rising star, resulting in his move to the London Broncos in 2006 in order to rebuild his career. Since his injury, he has racked up 111 Broncos appearances, scoring 34 tries in the process. Versatility is a key factor to his game, being able to turn out as a back or even a forward. In terms of his international career, he has previously been selected to play for Great Britain, his first and only call up in 2007.